In a year without a dominant male skier, the sophomore stood out for his versatility as a multi-discipline skimeister. The Maine Principals’ Association no longer recognizes or keeps track of skiers who choose to cram all four disciplines – two Nordic and two Alpine races – into what are now separate state championship meets. That doesn’t mean aspiring skimeisters have disappeared. Seven boys entered the classical and freestyle Nordic races, as well as the giant slalom and slalom events at the Class A and Class B state meets in February. The most consistent of them was Tommy Bancroft, a sophomore at Oxford Hills. 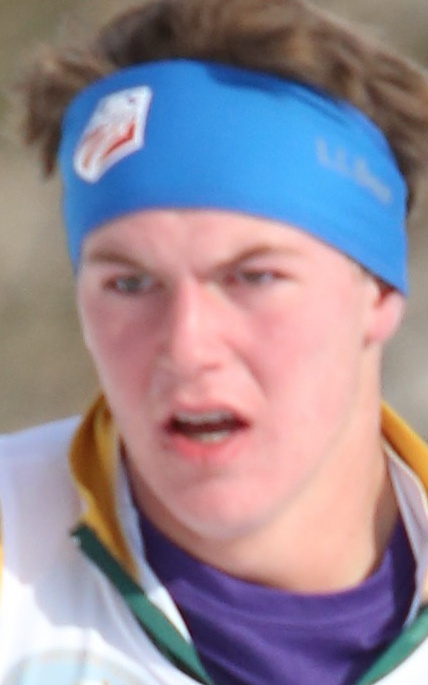 Bancroft, the nephew of Olympic cross-country skier Leslie Bancroft, never placed outside the top 20 in the Class A Nordic and Alpine championships. He started his three-day adventure with a 19th in classical at Black Mountain. The next morning he moved up to 17th with a freestyle pursuit time that ranked 13th overall, then hustled from Rumford to Mt. Abram in Greenwood for the afternoon’s giant slalom race, in which he placed 16th. He concluded the following day with a 12th in slalom back at Black Mountain. He is our choice as Maine Sunday Telegram male Skier of the Year. Tommy’s brother, Cameron, is a senior at Oxford Hills who, as a freshman, finished second in the Class A skimeister competition. 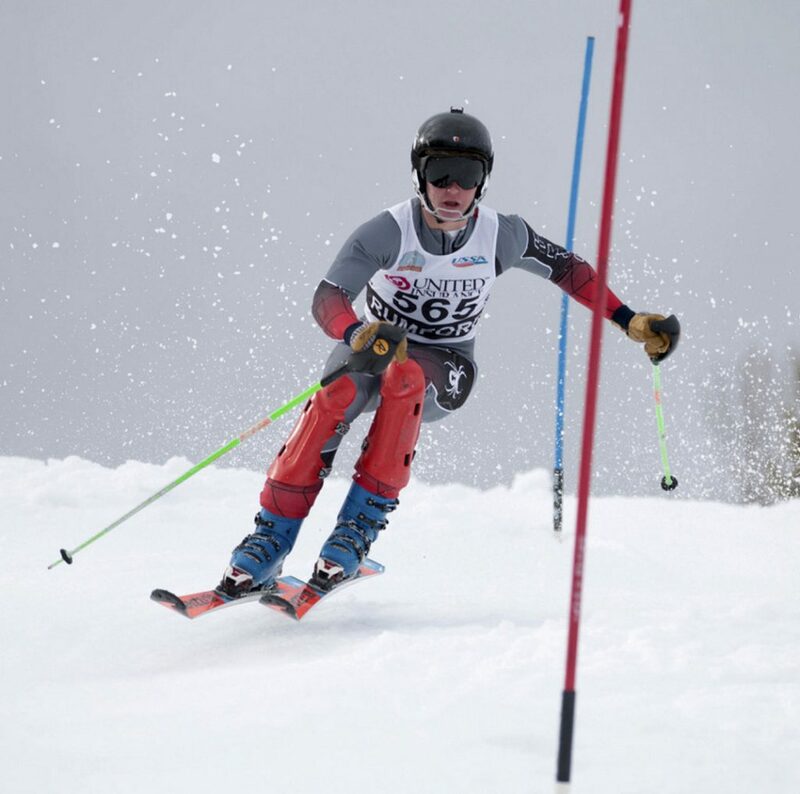 Cameron gave up Alpine competition the past two winters to focus on Nordic, but returned this season and wound up second in the Kennebec Valley Athletic Conference skimeister competition, behind Sam Smith of Mt. Blue. Tommy was third and Maranacook’s Carter McPhedran – the top skimeister in Class B – was fourth. Bancroft said he started skiing down hills at age 2 and continued free skiing at Sunday River until middle school, when he began racing gates. Not until seventh grade did he pay much attention to cross-country skiing. Christopher Eaton, the Oxford Hills Nordic coach, said taking part in both disciplines used to be the norm. Eaton coached Tommy’s father in high school, and Mark Bancroft won a skimeister state title his senior year. Angela Bancroft, Tommy’s mother, is an accomplished triathlete recently enshrined in the Maine Sports Hall of Fame. Both Cam and Tommy qualified for the Eastern high school championships in Nordic. Tommy also attempted to qualify in Alpine but crashed in his first giant slalom and banged up his leg enough to end his day.